T+H Gallery is pleased to present Close to Me, a solo exhibition of new work by Stephanie McMahon, comprised of intimate and electrifying small to large-scale oil paintings. This is her first show in Boston, on view at 460 Harrison Ave, C19 & 20. Close to Me refers to the gestural nature and immediacy of the paintings, but also to the environment around the artist’s home in rural Alfred, New York. McMahon explores an abstract language informed by the natural forms and structures that populate the landscape and the history and experiences that shaped that particular place –from the surrounding fields and undulating hills and ravines to the hidden treasures left behind by the original landowner who made sculptures and land art. Weaving in and out of referential forms and colors, McMahon allows space for new ideas to emerge in the painting process. Geometric and organic forms merge as gesture and color create tension, revealing both transitory and measured time. The finished pieces not only reference the event of painting, but they are active spaces for visual exploration. 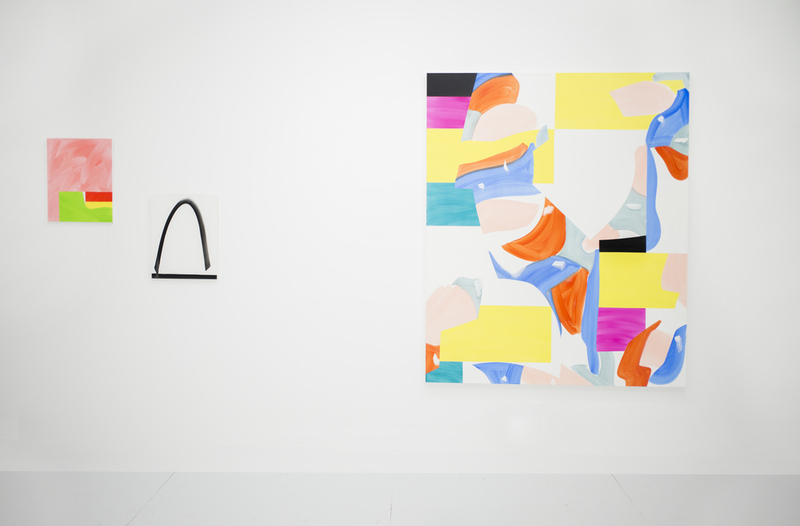 McMahon’s effect is striking; her works are layered with vibrant color fields and shapes, with paint that is delicately and lightly applied, but manage to provide tremendous depth. Each painting can shift abruptly as it develops, challenging one’s sense of time and resolve. The result is both tangible and fleeting as unexpected and precarious relationships emerge between the thin, translucent layers. Gestural brushstrokes impart physicality yet glide weightlessly over smooth surfaces as figure ground relationships oscillate and conflate. McMahon’s work encourages intuitive and contradictory responses, creating an active image that fluctuates between deliberate and incidental. The painting that emerges from this process is both raw and refined. Through painting, McMahon extracts and distills her observations in the tangible world while questioning and presenting the possibilities of visual experience and abstraction. Stephanie McMahon lives and works in Alfred Station, NY where she is an Associate Professor of Painting and Drawing at the School of Art and Design at Alfred University. McMahon holds a B.F.A. from Alfred University and a M.F.A. in Painting from The University of Texas at Austin. 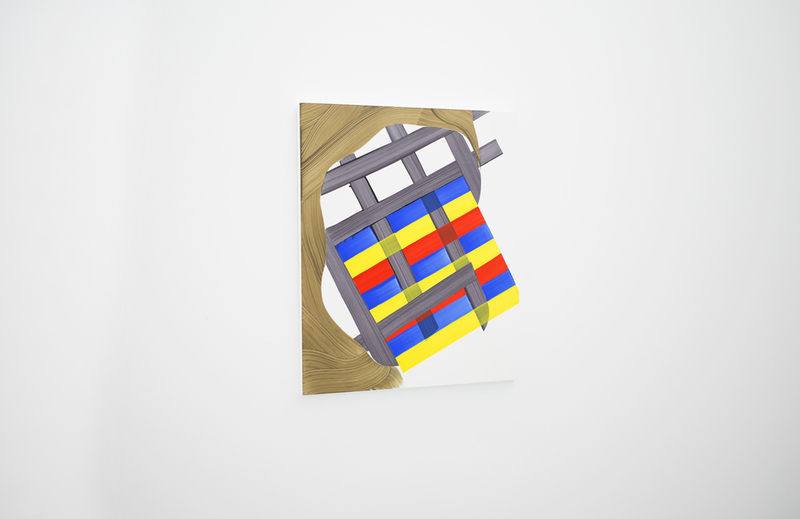 McMahon has shown her work nationally and internationally with recent exhibitions at Ebersmoore Gallery in Chicago, The Painting Center in New York, Kent State University (OH), Flanders Gallery (NC), Pump Project Art Center and Creative Research Laboratory in Austin (TX), Young Painters Exhibition at Miami University (OH) and Orange County Center for Contemporary Art (CA). Her work was recently published in Cantanker Magazine, an arts periodical curated by Cook and Ruud of Austin, TX. For further information about Close to Me, please contact Rory Bledsoe at rory@tandhgallery.com or 617-515-0645.